Three more talks with the folks at Helioscope Studio in Portland in this episode! 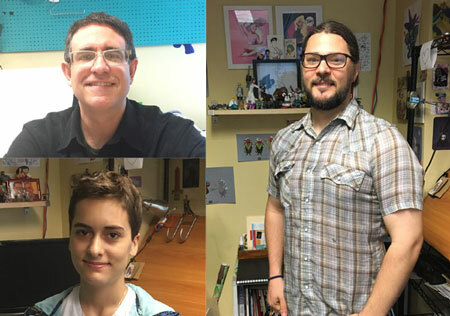 Steve Lieber, an artist in his own right and also manager of the studio, gives us a brief history of the studio (including its self-naming woes) and tips on how to start your own studio. Intern/mentee Maria Frantz, a university student and web cartoonist who grew up reading Calvin and Hobbes, explains her internship and the aims of her comics work, and how her generation approaches comics. Finally, Ben Dewey (Autumnlands, Beasts of Burden) talks about his process of doing art (involving digital pencils and analog watercolors), why you shouldn’t get too fussy over your comics, managing your comics creating time, and what was good about Rob Liefeld’s work. This week Andy and Derek discuss five new titles. They start off with Michael DeForge’s latest book, Sticks Angelica, Folk Hero (Drawn and Quarterly). While this is an unusual story, it’s nonetheless one of DeForge’s most conventional stories, at least when compared to many of his previous works. It’s an episodic narrative about its titular character, a multi-talented 49-year-old woman who moves to a Canadian national park to escape a scandal surrounding her rich father’s finances. There she befriends a bunny named Oatmeal, a moose lawyer who goes by the name “Lisa Hanawalt,” a love-struck eel, a “marked” young woman called Girl McNally, dumb geese, proxy ants, a bear chronicler, and the park’s wannabe reporter “Michael DeForge.” Did we mention that this is one of DeForge’s more conventional stories? This title began as a webcomic on Tumblr, and while people can still find the complete comic up and available, the guys strongly recommend that listeners get the new book to fully take in the physical, tactile experience. 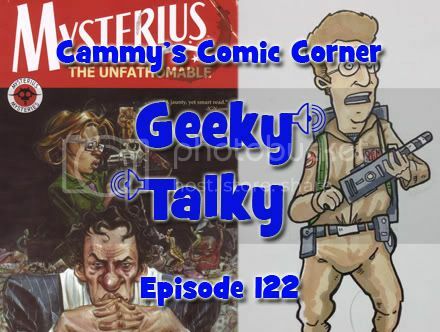 The guys also discuss the pros and cons of DC and Image doing their own mini-catalogs, the mixed bag of publisher crossovers, and the weirdness surrounding recent book that have been repurposed as limited series. 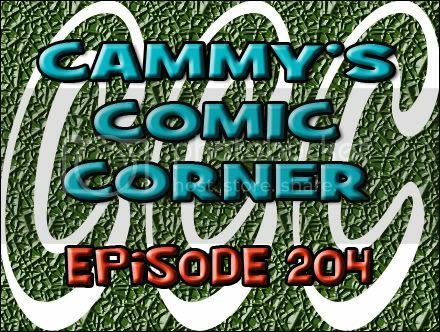 Derek also shares news about how a recent on-location episode of the podcast became a Steve Lieber boon for the manager of Collected Comics in Plano. It’s apparently true: there is such a thing as The Comics Alternative bump and the success it can bring you! On this podcast we review three new titles: DC Comics’ Trinity of Sin: Pandora and Batman ‘66, and Marvel Comics’ What If? AVX #1. Oh, and a quick review of The Superior Foes of Spider-Man #1. That’s about it, really. Listen in! Are you a fan of “What If?” stories? Head over to our podcast Facebook page and let us know.